Norwegian is proud to announce that Crean Family Expedition Ale has been added to the skies, produced by the Crean family in honour of renowned Irish explorer Tom Crean. The Irish Red ale is now available for passengers to purchase on all transatlantic flights from Ireland and Northern Ireland to the US East Coast. In 2016, in conjunction with Torc Brewery, Killarney Tom Crean’s granddaughter Aileen produced a fine craft Irish Red Ale in honour of Tom. 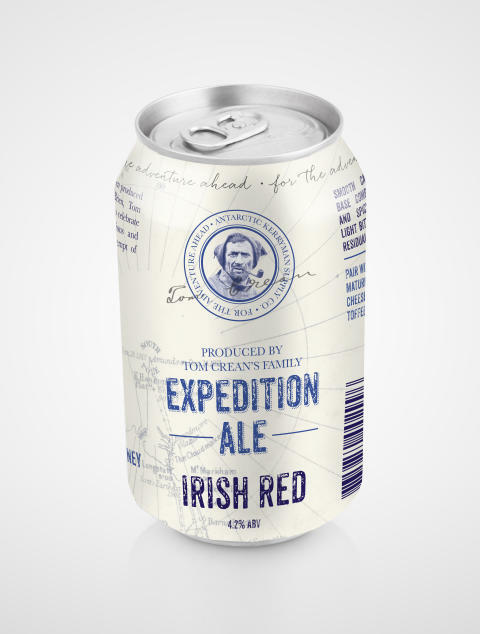 The Crean Family Expedition Ale has been named after not just Tom’s time in the Antarctic and his three expeditions (Discovery Terra Nova and Endurance), but also when his granddaughter along with his two of his great grandchildren recreated Tom’s epic crossing of South Georgia with Shackleton and Worsley in 2016 to celebrate the centenary of this expedition. 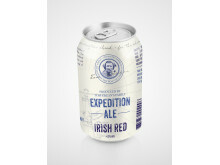 Passengers can now enjoy the Crean Family Expedition Ale, Irish Red 330ml on all transatlantic flights from Cork, Shannon, Dublin and Belfast for €5 ($6). Since Norwegian’s first aircraft took to the skies, the airline has always honoured iconic figures on the tails of its aircraft, using personalities who symbolise the spirit of Norwegian by pushing boundaries, challenging the norm and inspiring others. Earlier this year Tom Crean was announced as Norwegian’s first Irish tail fin hero, with his image taking to the skies this summer on the new transatlantic routes from Dublin, Cork, Shannon and Belfast. Norwegian is Europe’s third largest low-cost carrier, carrying 30 million yearly passengers to more than 140 global destinations. 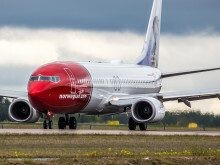 Norwegian has been awarded the ‘World's best low-cost long-haul airline’ for three consecutive years at the SkyTrax World Airline Awards and Europe’s Best Low-Cost Airline for five consecutive years.